If you thought that punching weapons could not get any more brutal, then you thought wrong! 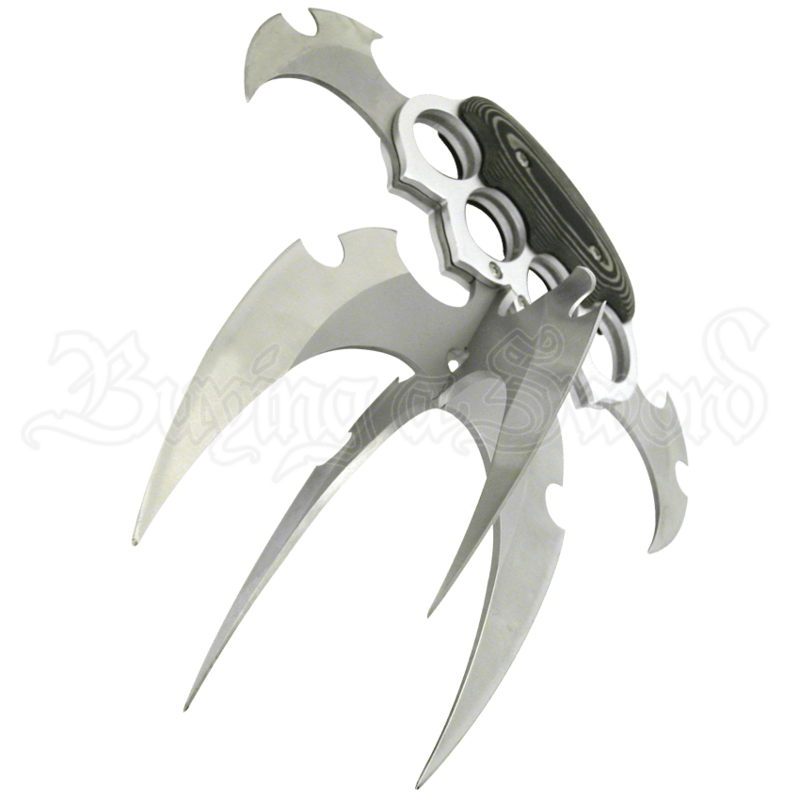 The Galaxy Warrior Punch Blade is a frightful bruiser that will likely scare away anyone who finds themselves on the wrong end of this weapon. This bladed horror might be the definition of the word overkill, although when it comes to bladed weapons, you can never have too many sharp edges or penetrating points. This weapon consists of a micarta handle and palm brace, which is connected to a quartet of finger rings, giving it a look that is similar to a brass knuckle. Twin stainless steel wing blades extend out from the sides, ensuring that even glancing blows are bound to cut and shred, while four mincing blades extend out from the front of the blade, providing a perfect perforator that will ruin anyones day very quickly. The punch blade measures approximately 9 inches long, while the main blades measure approximately 5 inches in length. Included with the punch blade is a display stand that is perfect for showing off this brutal weapon without having to brandish it in anyones general direction. 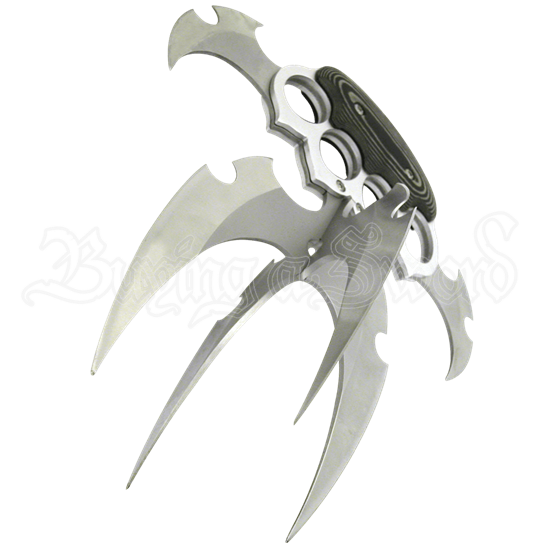 Designed by Tom Anderson, the Galaxy Warrior Punch Blade is frightening array of blades to find yourself facing down or the perfect equalizer to have on your side when it comes to your defense.